It's the first time they've been seen in decades — and it's actually a problem. Three people in Florida have spotted quite an odd visitor ever since Hurricane Irma struck the area — a sub-Saharan African bird with extravagant feathers and a distinctive dance. 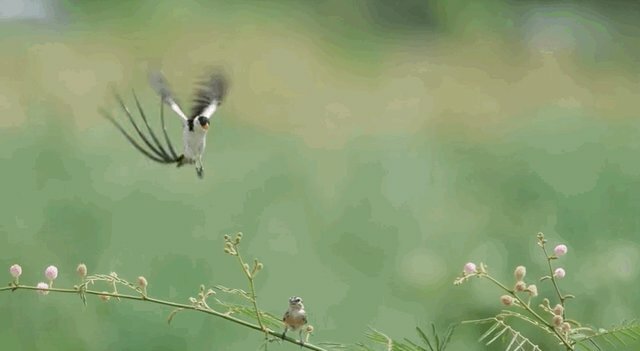 It's possible the pin-tailed whydahs were blown in the storm up from Puerto Rico, where they have established residence as an invasive species, Mark Hauber, a wildlife biologist at the University of Illinois who has studied the whydah's dispersion, told the Miami Herald. 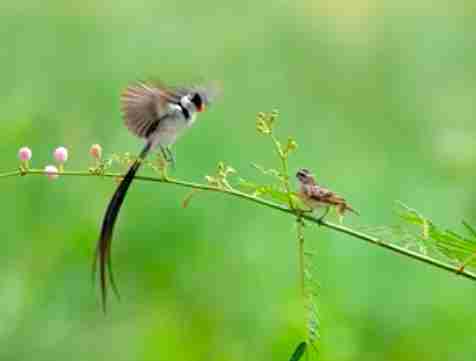 “It’s not uncommon for tropical birds to show up after a hurricane in temperate zones,” he said. But it's also possible that the birds were exotic pets (whydahs are often trafficked and sold as exotic pet birds) who escaped during the storm. Wherever these whydahs came from, they definitely stick out. 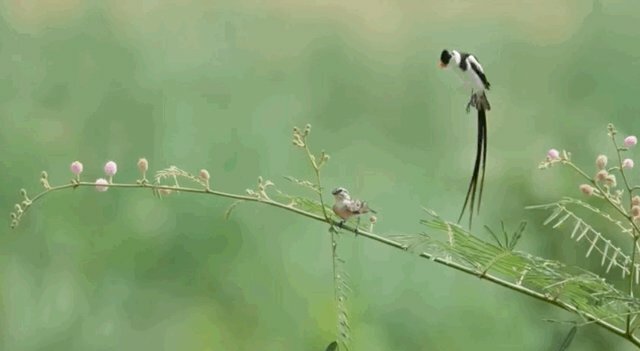 To win attention from a mate, male whydahs perform an elaborate mating dance and song, growing extra-long tail feathers just for the occasion. 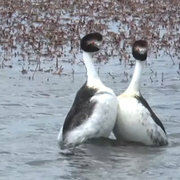 But the whydahs making a home in Florida could be a big problem for native birds, since whydahs are considered parasites. They leave their eggs in nests built by other kinds of birds, tricking native birds into raising a whydah along with their own babies. This can crowd the other babies out and dwindle the amount of food mother birds can provide to their biological kids. Hauber's study on the whydah shows that there are several areas in the U.S. that might be ripe for the whydah's tricky antics, if they can get there, and scientists will have to figure out a way to protect the roughly 20 kinds of birds the whydah takes advantage of. If he does get there, one thing's for sure: It won't be hard to spot him.